I got everything I needed to get done at my own speed. 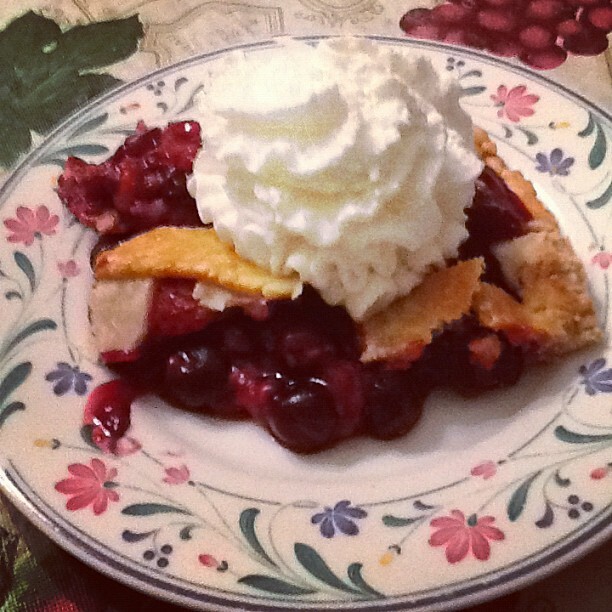 I feel that’s why this pie turned out so well. 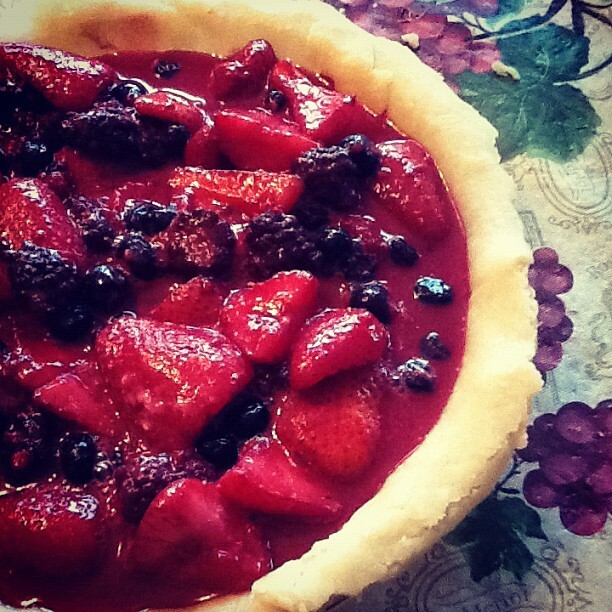 My mom was kind enough to help me with the crust too. 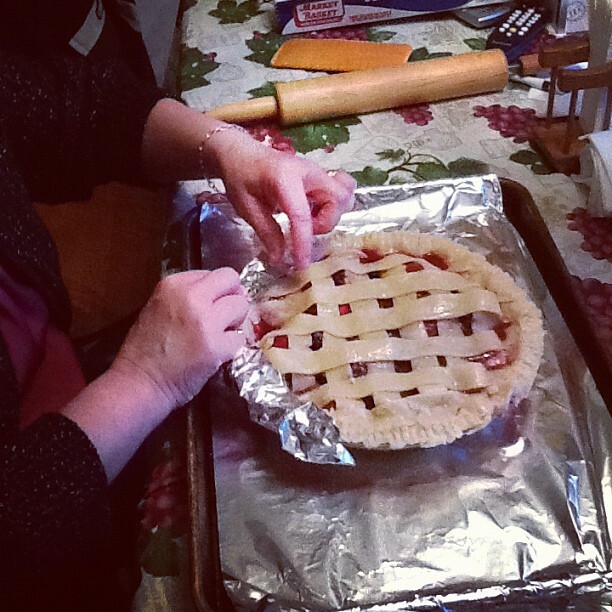 It was her first time as well making a lattice pie. She usually just does the traditional one with it completely covered. 16 oz of fresh strawberries cut into halves with tops off. 1. 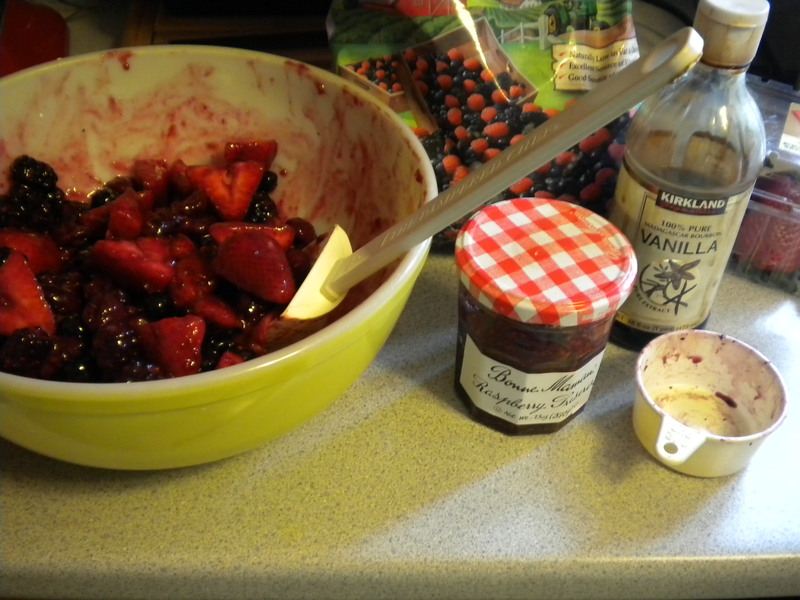 In a big bowl mix your filling ingredients together. Cover bowl and put in fridge until ready to put into the pie. 2. If you have a kitchen aid mixer, use the hook for making the crust. Combine oil, flour, and salt first. Then add milk and mix. Make sure not to over work the dough. This makes 2 crusts. Make two balls out of the dough and roll it out. 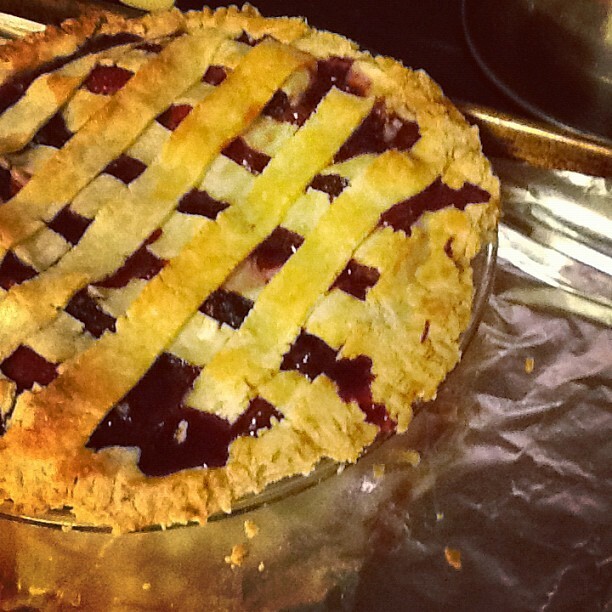 I used this video: How To Make A Lattice Pie Crust to help teach me how to do it. 3. 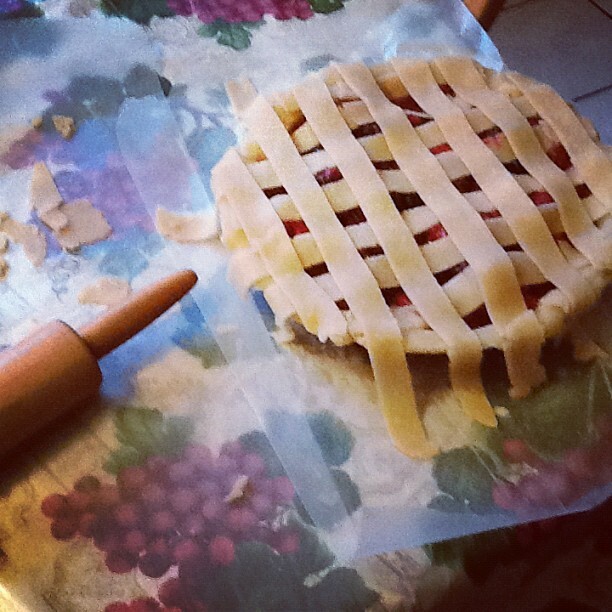 Put your filling in and place the lattice pattern on top. 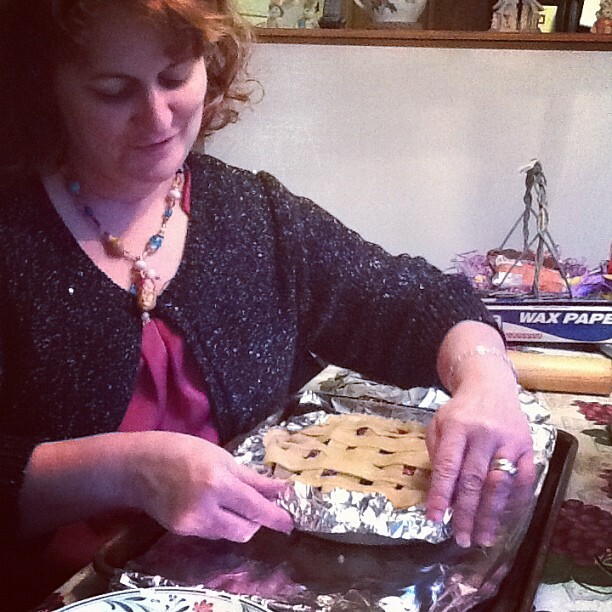 My mom taught me that it doesn’t matter if the dough rips because you can always fix it. She always makes me feel better about my work. 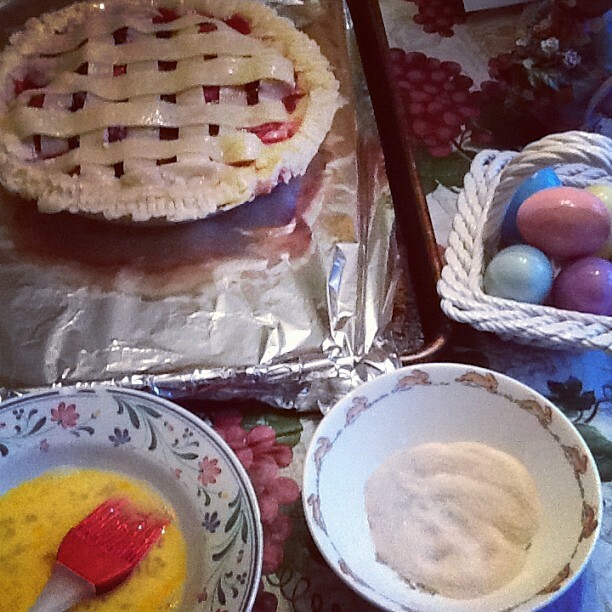 Take your egg wash and brush it onto your lattice pattern and the outside circle of crust. Sprinkle as much granulated sugar as you wish on top of the pie. She also taught me that putting aluminum foil on the bottom of a cookie sheet makes the clean up easier. 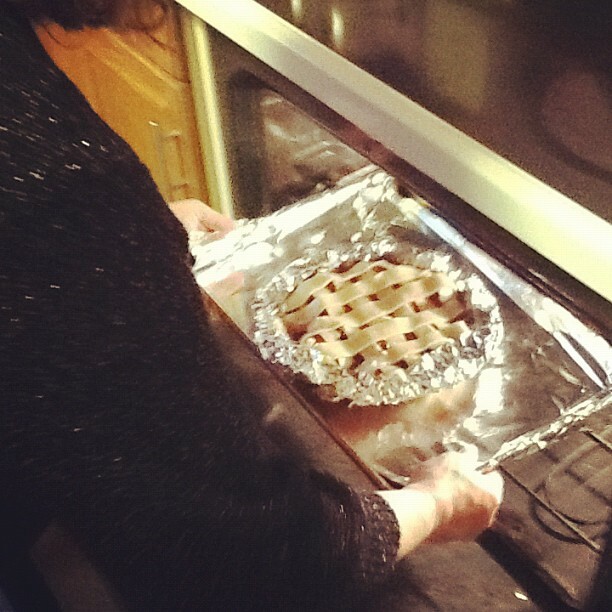 Cover the crust at the edge of the pie with aluminum foil. Careful not to press it too hard on the crust. 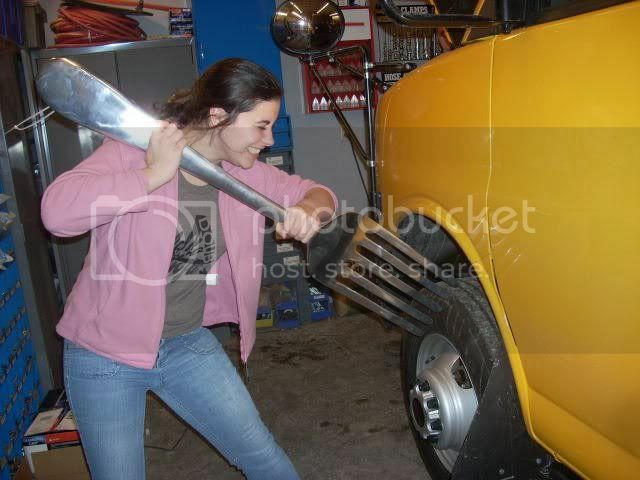 It will stick if you do. You just want it to help keep the crust from burning. 4. Bake for 20 minutes with the foil on and then. 25 minutes without the foil on the crust at 375. When it is all done, serve and enjoy 🙂 I was so happy to share this moment with my mom. Tomorrow I will post up the dinner we had and the amazing garlic rosemary lamb we had… oh I am craving it all over again.